Nobody Asked, O-Town Answered: We're Reuniting and Going on Tour! Early aughts nostalgia alert: a manufactured boy band from Florida — no, not that one. Or that one. No, the other one! — O-Town is reuniting and going on tour. When it rains it pours, eh? [Insert your own "It's Raining Men" joke here.] 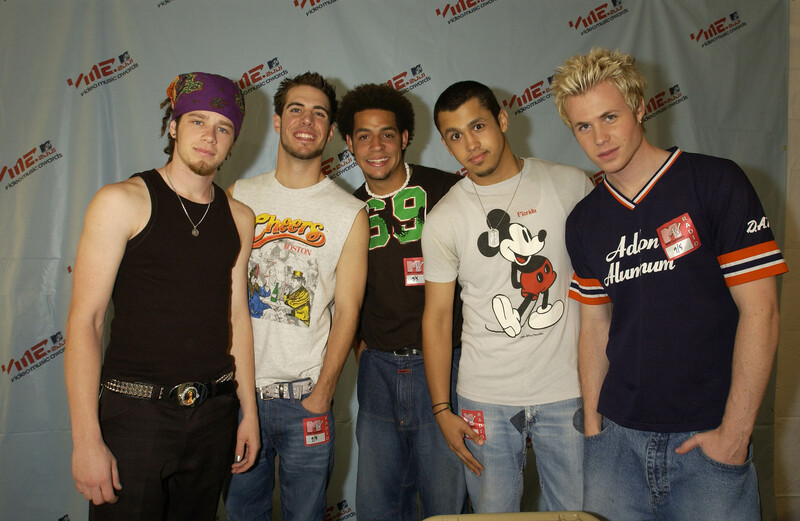 Indeed, the dudes alternatively known as Erik, Dan, Trevor, and Jacob are reforming (minus The Cute One, Ashley Parker Angel, it seems) for new music and a new tour. The stuff of your liquid dreams (I know, I know) have returned, if your liquid dreams are of things that no one in their right mind would ever ask for. El oh el, you guys. el oh el. Because let's be really real for a minute: the boys all just realized that they sort of hate not being famous, and the only surefire way to fix that while also gaining ample media attention was to start anew... as the exact same unit, minus their most popular member (The Cute One is always the hold out!). And I'm sure it's just a coincidence that this all comes on the heels of a resurgence of boy band reunions and the recent *NSYNC appearance at the MTV VMAs. (We wonder what The Bad Boy, Jacob Underwood, really thinks about all of this.) Considering the band's album sales numbers — their first album sold 1.7 million copies; the second a decidedly smaller 257,000, both to date — we're convinced that this is just going to be a total runaway success for them.